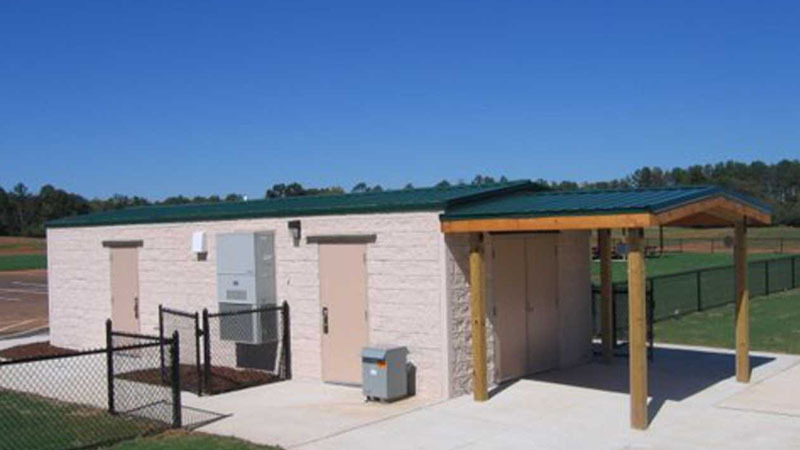 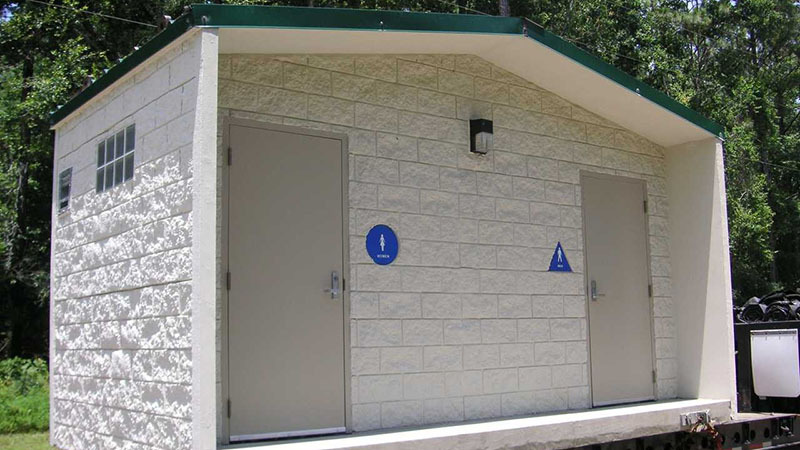 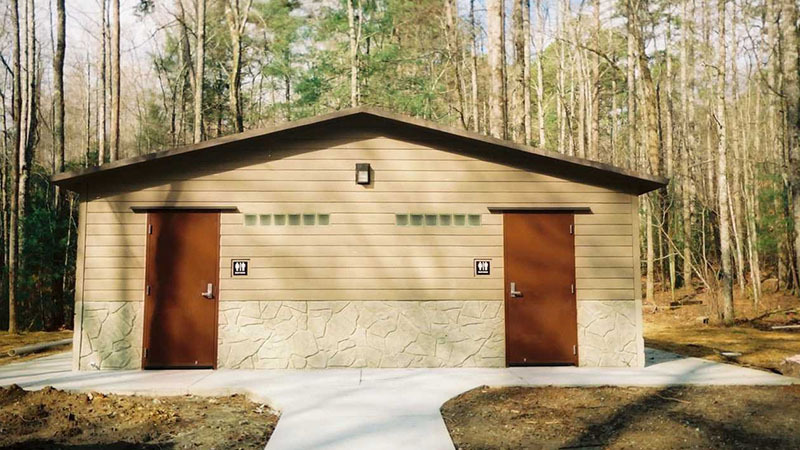 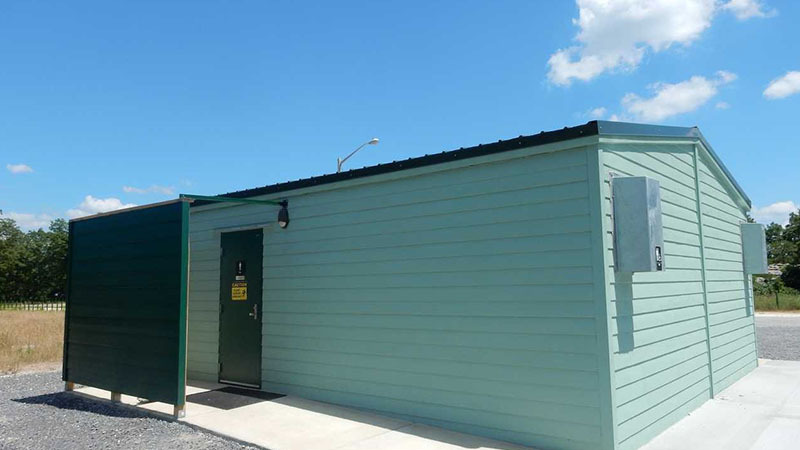 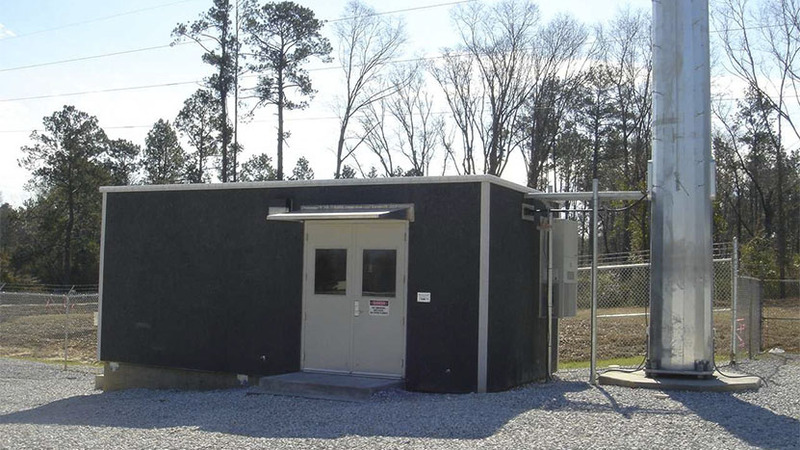 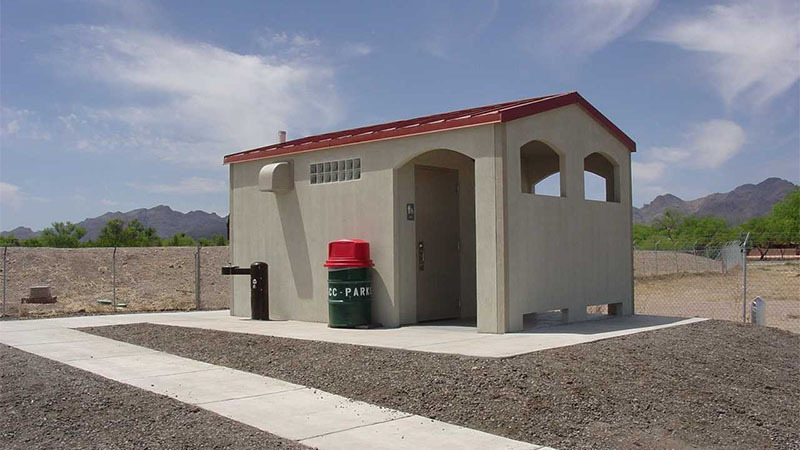 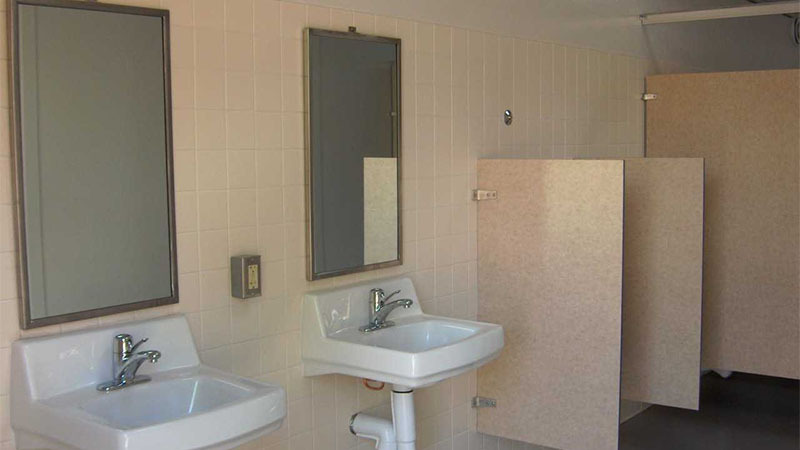 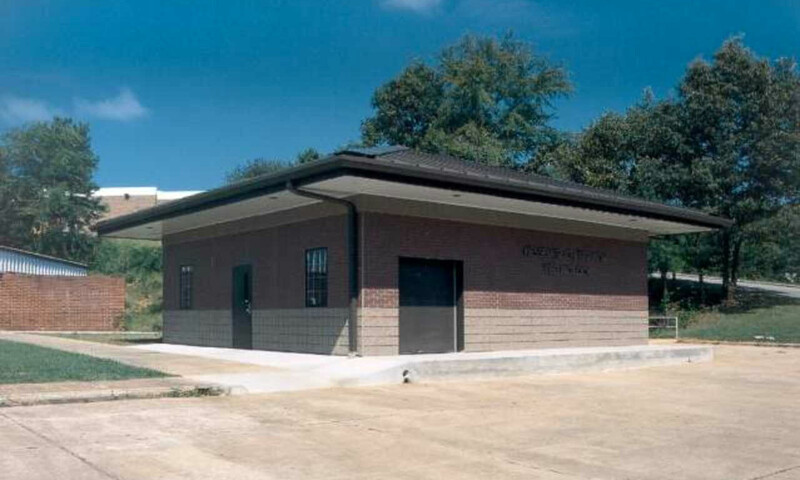 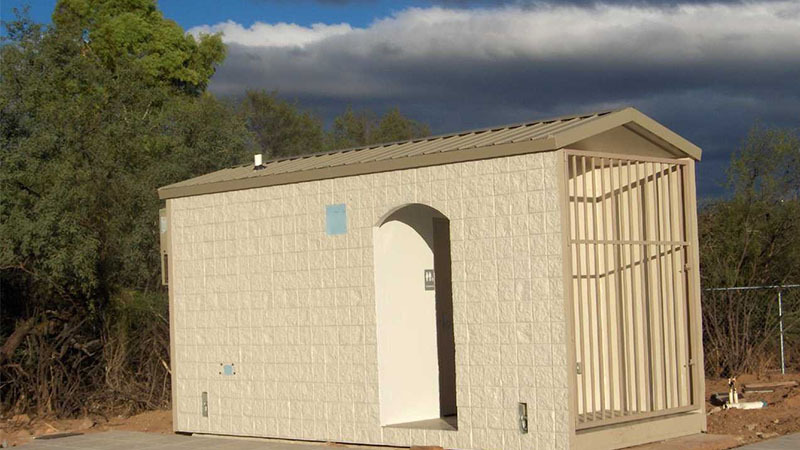 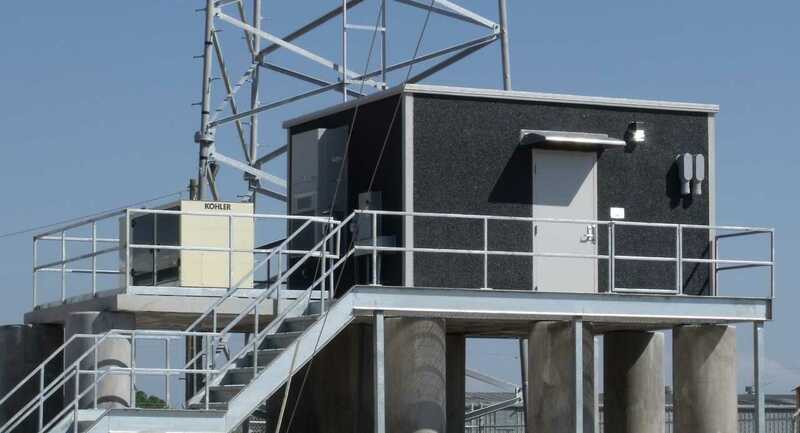 Stand-alone recreational and sanitary facilities such as restrooms, concession stands, field office, pump enclosures and equipment storage buildings are ideal projects for Modular Connections, LLC. 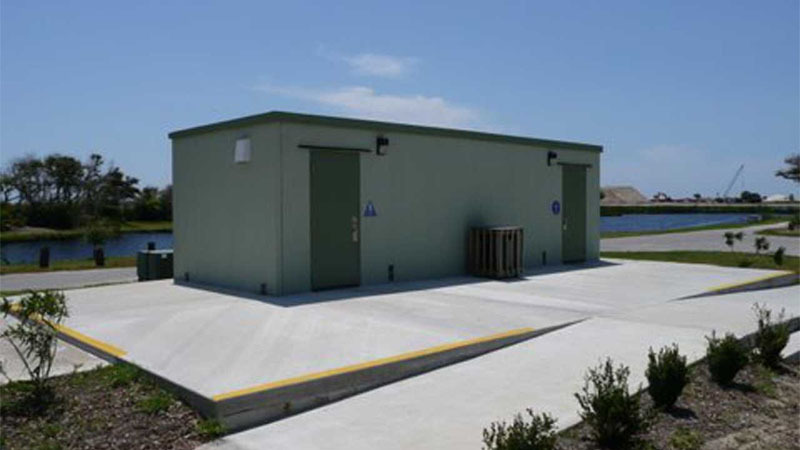 This type of facility is often added to an area after the initial industrial plant, park, or community area has been established. 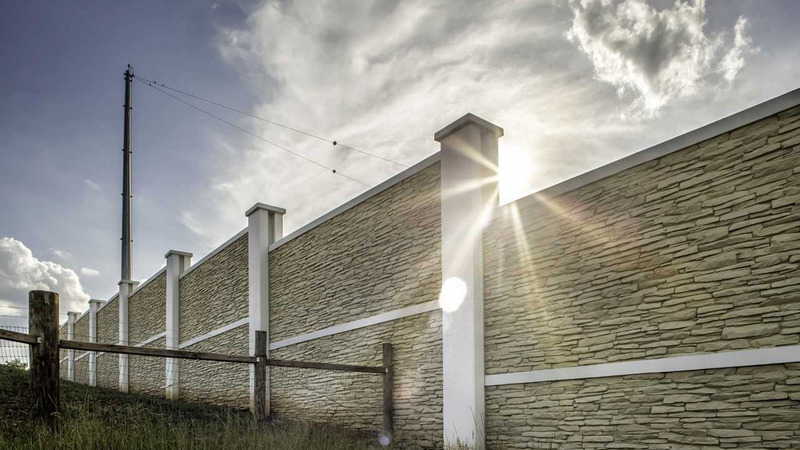 Traditional construction disrupts activities and can cause added rehabilitation costs to the surrounding landscape. 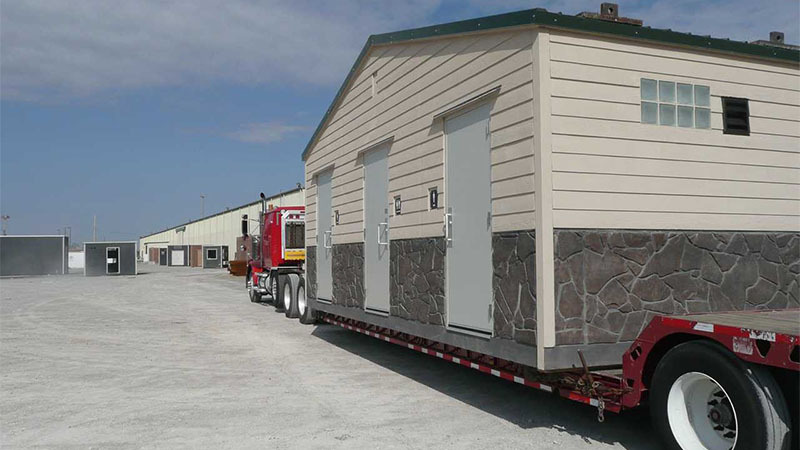 In modular construction, buildings are manufactured at our facility and transported to the site, ready for use. 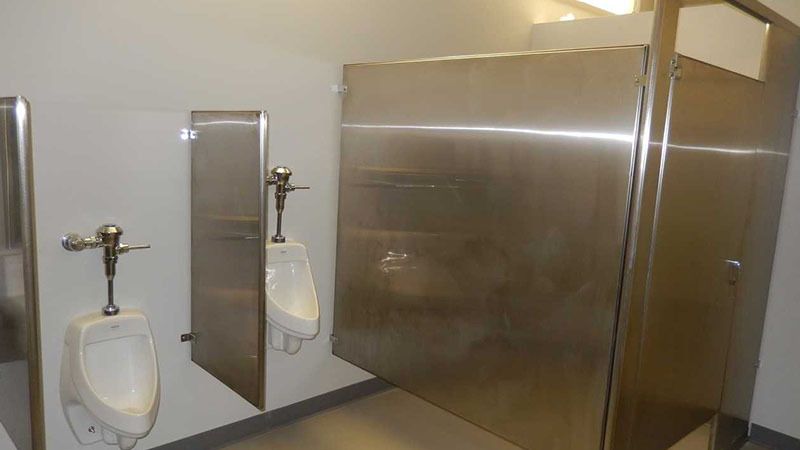 Plumbing for restrooms, shower, or kitchen facilities, as well as electrical, data, and HVAC can be integrated into the design as applicable. 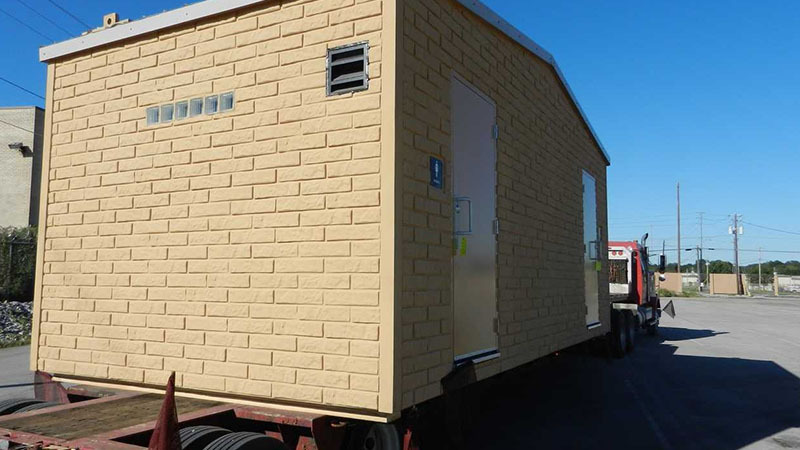 Virtually any feature that can be used in traditional construction can be used in modular construction as well. 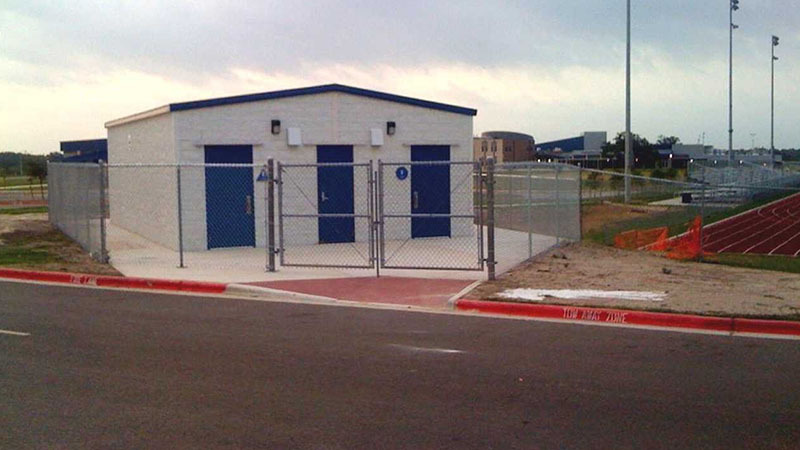 Construction is quick and accomplished with minimal disruption. 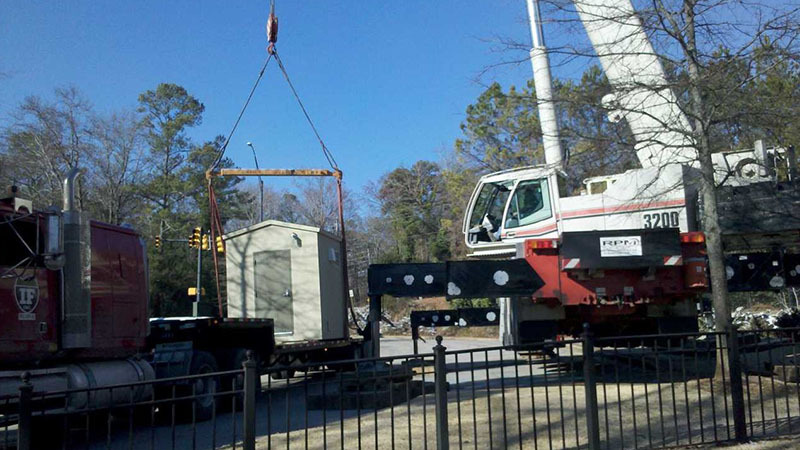 Buildings are designed to be easily lifted with a crane and lowered into place. 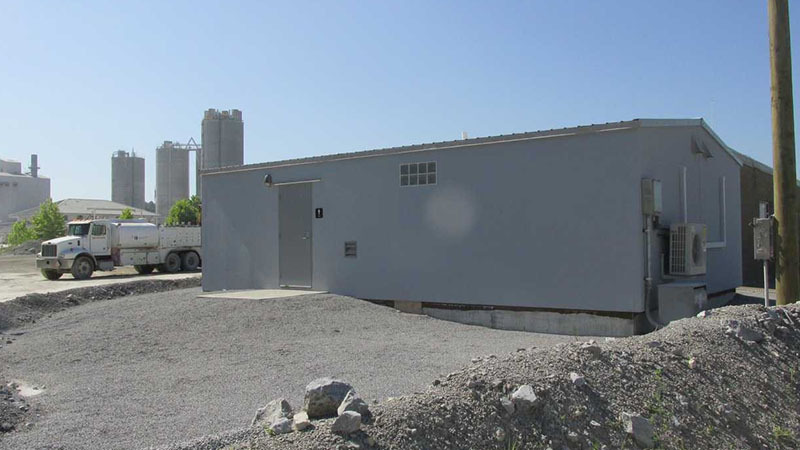 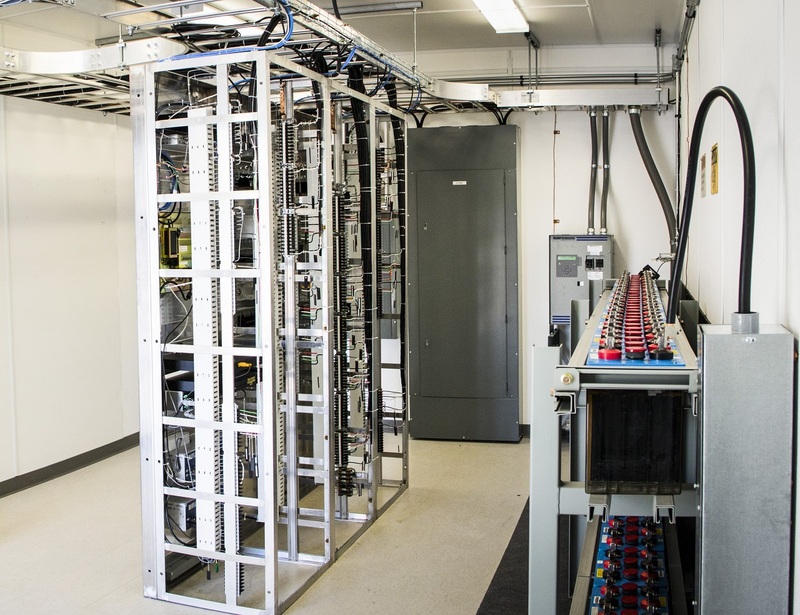 Since buildings are factory wired and plumbed, the facility is ready for use extremely quickly. 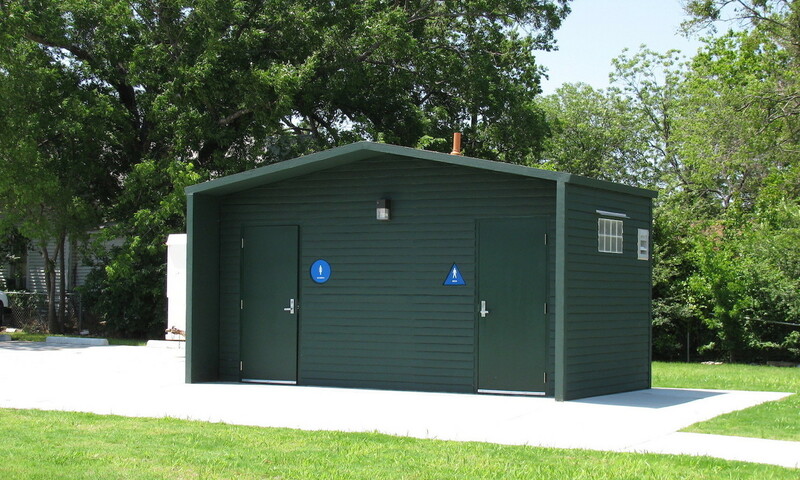 Exterior finishes can be customized to fit the existing aesthetic features. 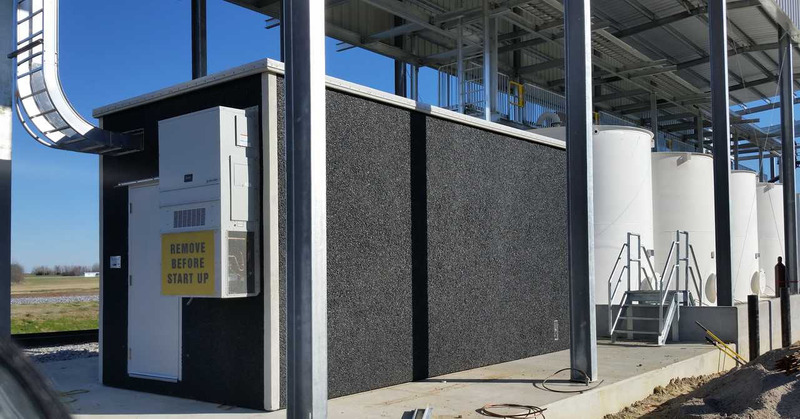 Standard exterior finishes include exposed aggregate, simulated brick, smooth or textured paint options, and customized form liner finishes to simulate wood, stone, and various other finish textures. 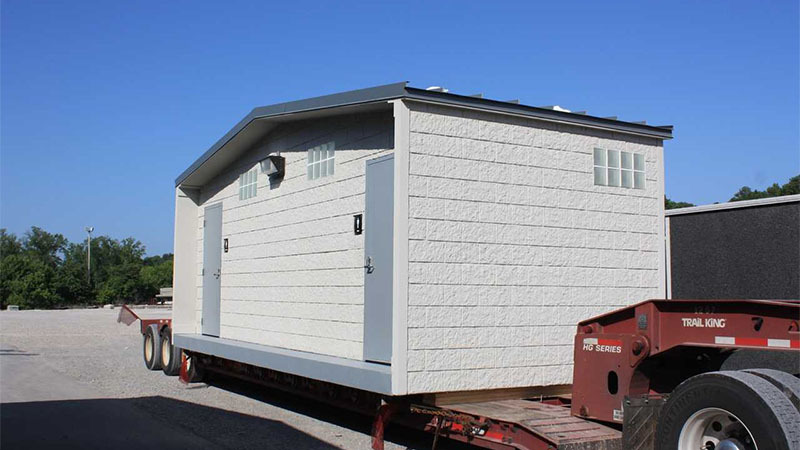 Buildings are 2 hour fire rated and designed to withstand wind loads of 150 mph. 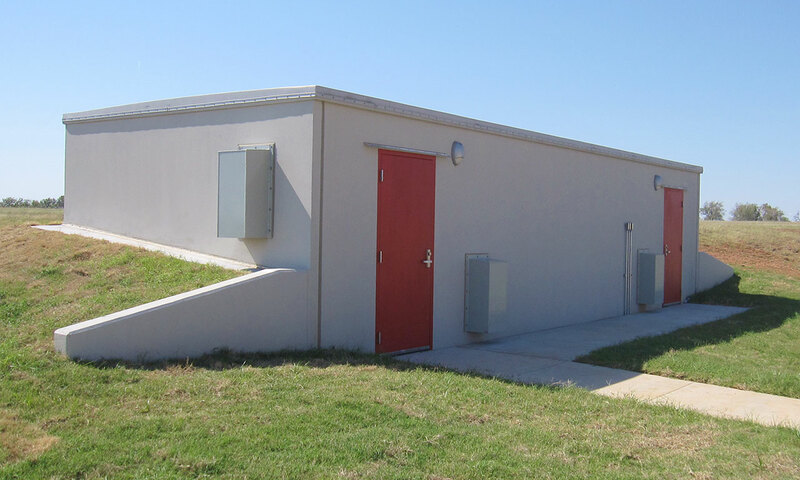 Buildings can be upgraded to our 250 mph wind rating to serve a dual purpose storm shelter facility. 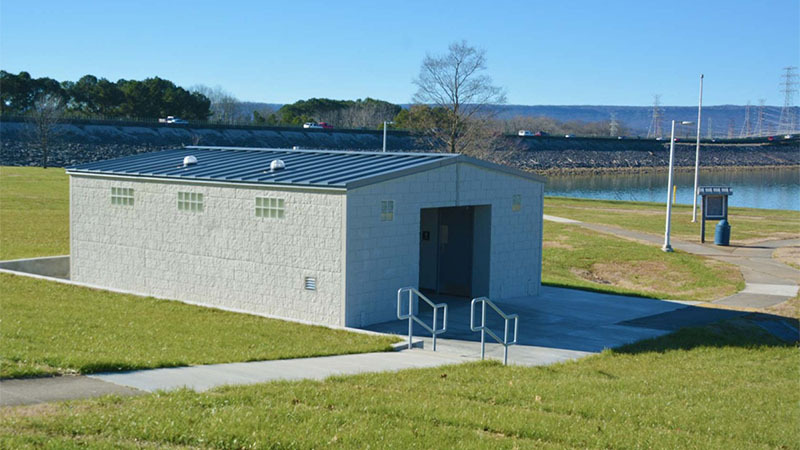 For more information about our public and industrial recreational facilities, see the table below, or contact us directly.